Fly shop: An extensive display of top quality Flies, Rods, Reels and gear at your fingertips. We fish hard all year and test our products thoroughly. Whether you are fighting Rainbows with a size 20 B.W.O. in the slippery sleet, or desperate for U.V. protection and distance casts, you’re covered! 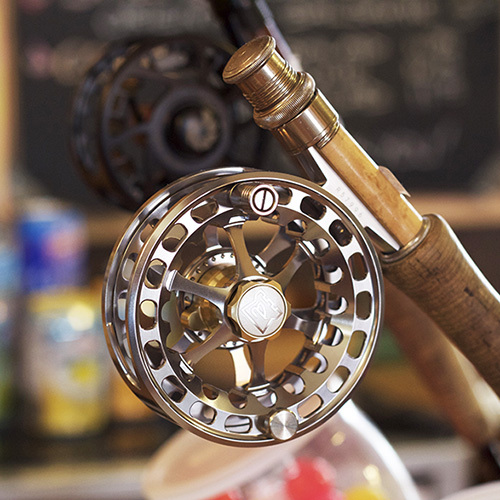 Simms, Patagonia, Airflo, Nautilus Reels, Hardy, , Echo, Fishpond, G.Loomis, Frogg Toggs, Korkers, Rio Products, Redington, Temple Fork Outfitters … and knowledgeable staff make our shop the perfect stop. Spring brings Salmon Flies and Stones; Summer: Mayflies , P.M.D’s, Caddis, Green Drakes and terrestrials; Fall the mighty (tiny) B.W.O….lots of juicy patterns to fool even the most stubborn trout. Also take a look at our Guided Fishing Trips page for info on day trips and lessons. 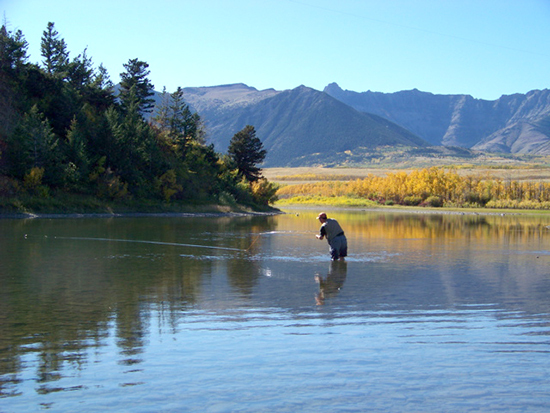 Our home waters begin at the Rocky Mountain continental divide, and offer the best freestone fishing in the Rockies. On the Alberta side of the Continental Divive the main watersheds surrounding us are the Oldman, the Castle, Crowsnest, Belly, Livingston and Waterton rivers. On the British Columbia side the Elk River, Michelle Creek and tributaries are 15 minutes away. These pristine trout streams are non-glacial and fertile, with insect hatches daily in in the spring, summer and fall. Alberta's great fighting Rainbows and Browns were introduced in the 1920s into the Bow River system when a hatchery truck broke down on a hot day in Banff National Park. Fearing for the lives of the little fingerlings the driver released the load into a feeder creek of the Bow. Since then they have migrated north and south, throughout Alberta's river systems. Viewed by many fisheries biologists as a disaster, anglers from Alberta and all over the world would disagree as they delight at the aerial acrobatics of the wiley browns and rainbows. Here in Southern Alberta the Browns are more prolific in the Crowsnest and Waterton Rivers.The cold, clear head waters and smaller tributaries of all our rivers are famous for beautiful and large native Cutthroat, Bull trout and Rocky Mountain Whitefish. There is some relatively easy stream access in the public forestry. Our guides job is to get you to some of the lesser fished waters. The backdrop to all this is a multitude of high peaks and ranges, wide swaths of spruce, fir and aspen forests leading off to the eastern slopes and prairie foothills. This world famous blue-ribbon river flows through our town meandering its way toward the Oldman. It is one of the few spring-fed freestones in Canada open to fishing all year. Warmer winters keep spring fed sections of the Crowsnest open in winter. With large deep pools, lazy bends, bolder runs and flashing riffles, the Crow is the quintessestial Rainbow trout stream. From early season Salmon flies and Golden Stones to PMDs and Caddis to Blue winged oliver and midges, this vast selection of food allows the Rainbows and Browns to be finicky! The Crow is a terrific challenge all year round. Created by a valley between the Continental Divide and the Livingstone range, the Oldman offers an incredible and vast selection of waters to fish. Cutthroat and Bulls vie for food in these cold waters. Don't be surprised to see a big Bull trout eat your 20 inch cuttie! Popular tributaries include Racehorse, Livingstone, Vicary, Dutch and Daisy Creek. We float three sections of this famous river. 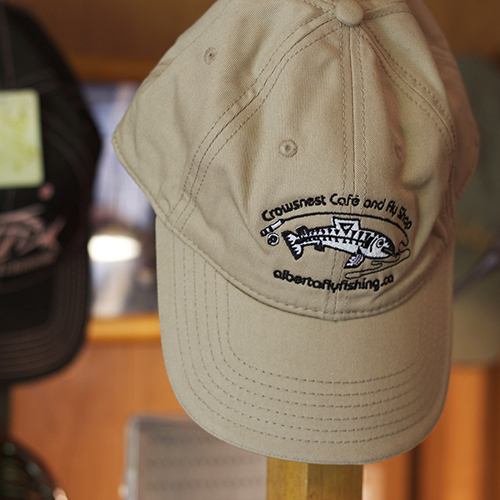 The incredibly scenic and colourful Castle river is dominated by Cut throat, Rainbows and Bull trout. The South Castle and West Castle come together to form the Castle. Its main tributaries are the Carbondale, Lynx and Lost creek. This freestone river offers excellent walk and wade fly fishing, especially from mid-July thru October. With rapids and steep canyons we often guide by rafts, don't forget to bring your camera! Beginning at the Waterton-Glacier International Park boundary it leaves the majestic Waterton Lakes National Park and glides into the prairies. The Waterton River is mostly a Brown trout fishery, with some nice Rainbows and sly Pike in sections. This is a unique mountain stream where the pike live in the clear blue mountain water with big browns and somehow they get along. The incredible beauty that surrounds you is well protected by a healthy population of Park Grizzly Bears that meander the shores all the way out to the prairies in search of Saskatoon berries. As with most Canadian flowing waters, access is below the high water mark. A perfect river to float through. As foot access is limited, we tend to float this river. A perfect float trip with miles of boulder fields, rapids and glides. Stay a few nights with us at a local working ranch and fish a few un-mentionable waters in the area.